LOS ANGELES — Tennis Channel, the only 24-hour, television-based multimedia destination dedicated to both the professional sport and tennis lifestyle, will introduce an original series next week that is devoted to the latest health, exercise and diet activities that benefit amateur and professional tennis players alike. The half-hour program, Fit to Hit, will premier Monday, Dec. 7, at 7 p.m. ET, with encore replays throughout the month. A complete schedule can be found at tennischannel.com. Fit to Hit takes viewers inside the world of sports nutrition and fitness to uncover secrets that can give even the weekend player a winning edge. Episodes focus on the latest trends in tennis science and equipment, aerobic threshold and endurance, injury prevention, wellness, mental strategies, best nutritional practices and training techniques from elite instructors throughout the sport. 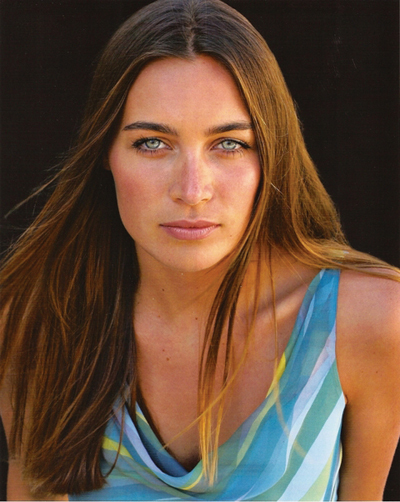 The series is hosted by model and actress Danielle Dotzenrod. Dotzenrod had never picked up a tennis racquet until two years ago, but has since become an avid player and fan who feeds off the challenge of improving her game, increasing her fitness level through the sport and the fun in helping others discover all that tennis can bring to their lives as well. In the first edition of Fit to Hit, Dotzenrod visits the USTA training facility in Carson, Calif., with the largest tennis-specific gym in the United States. She provides an insider’s guide on everything from stretching and warming up to cardiovascular and anaerobic endurance, and offers three secret weapons for getting “fit to hit.” Dotzenrod also offers instruction on how to build an inexpensive tennis-specific gym at home, how to train to avoid injury and how to properly hydrate before, during, and after a match. Tennis Channel is the only 24-hour, television-based multimedia destination dedicated to both the professional sport and tennis lifestyle. A hybrid of comprehensive sports, health, fitness, pop culture, entertainment, lifestyle and travel programming, the network is home to every aspect of the wide-ranging, worldwide tennis community. It also has the most concentrated single-sport coverage in television, with telecast rights to the US Open, Wimbledon, Roland Garros (French Open), Australian Open, Olympus US Open Series, ATP Masters Series, top-tier Sony Ericsson WTA Tour championship competitions, Davis Cup and Fed Cup by BNP Paribas, and Hyundai Hopman Cup. Tennis Channel is carried by eight of the top 10 MSOs and has a national footprint via DIRECTV and DISH Network.